You like GRAFT project and want to show your support? 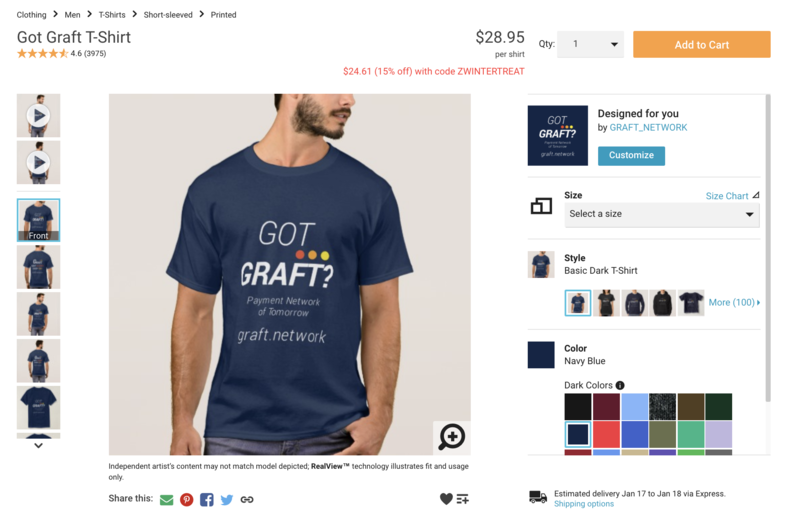 Get your GRAFT gear on Zazzle, wear it proudly, and make some GRF in the process!! Next PostNext The MainNet is Up! Long live and prosper GRAFT Blockchain!! !